It was a difficult day for Ducati with Nicky Hayden and Andrea Dovizioso finishing ninth and tenth fastest after the opening day of practice at Philip Island. The Ducati struggles to deal with windy conditions and with wind gusting throughout the lap today was always likely to be a struggle for both riders. Ultimately Hayden was the faster but neither was particularly satisfied, or surprised, with their performance. 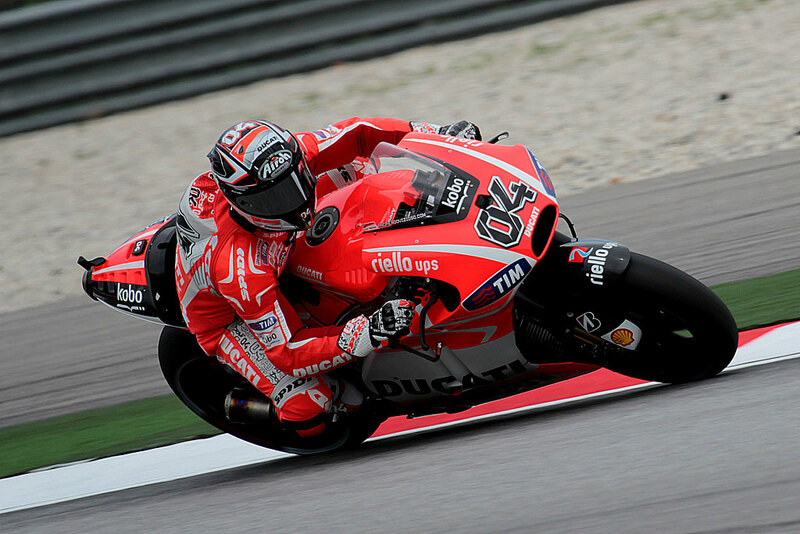 “Today was very difficult because of the wind,” said Dovizioso. “It’s always like this here, more or less, but in MotoGP it’s especially difficult with a lot of horsepower. At turns two and three you don’t have the front to open the throttle and you always have the wind on your side so it’s difficult manage. You have to setup [the corner] on the wind but you have limits to that and it’s not so nice to ride. The setup change from this morning was to put more weight over the front of the bike in a bid to keep the front wheel on the ground and avoid a wheelie on corner exits. 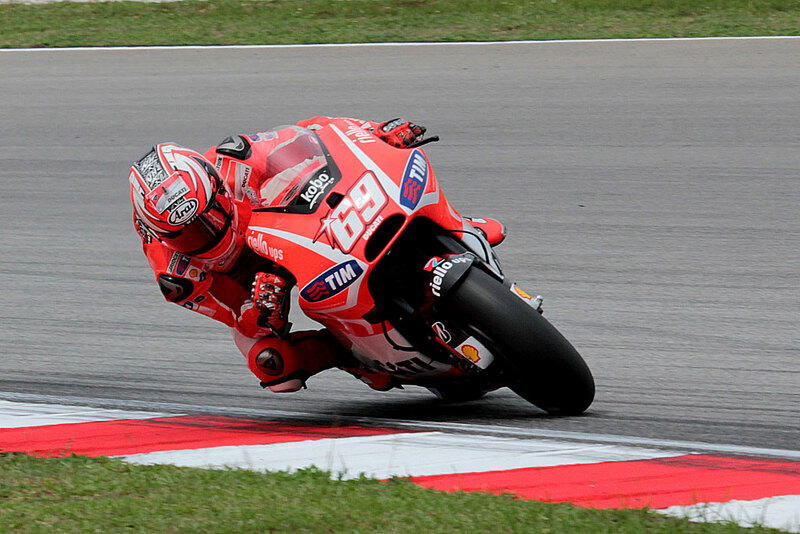 This entry was posted in MotoGP, News and tagged Andrea Dovizioso, Business, Dovizioso, Ducati, Grand Prix motorcycle racing, Hayden, MotoGP, Nicky Hayden. Bookmark the permalink.